History Channel’s The Bible still has four episodes to air over the next two weeks, so if you haven’t caught the TV miniseries, you still have a chance. If you are already a fan of the miniseries, which History is dubbing “the greatest story ever told,” you’ll be able to purchase the series much sooner than you might guess. 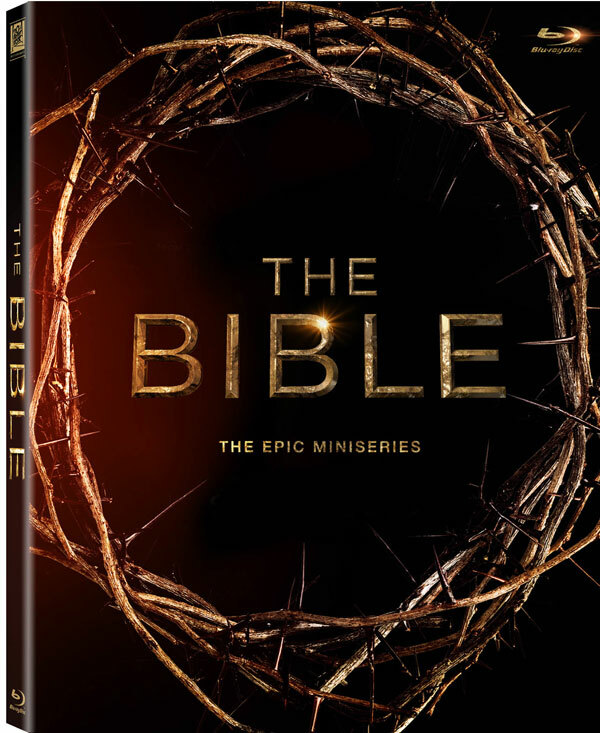 The Bible will hit Blu-ray, DVD, and digital HD on April 2. When news that famed producer Mark Burnett was putting together a miniseries called The Bible (based on the religious text of the same name) first broke, I wasn’t sure how well the series would do on The History Channel. As it turns out, I shouldn’t have been concerned. The Bible has crushed in the ratings and has even spawned its own mini- controversy (honestly, nothing spells success like a mini-controversy). The lengthy and epic miniseries begins with tales harking from Genesis and runs through stories found in the book of Revelation, and the Blu-ray and DVD sets will look even more in-depth at the production of the series, as well as the cast, crew, and even the music from the hit miniseries. Both the Blu-ray and DVD copies of the series will run a little steep, with the list price for Blu-rays running at $69.99 and DVDs running at $59.98. Luckily, if you are in the mood to pre-order the April release, you can get a pretty good deal over at Amazon for either set. You can check out the full list of bonus features, below.